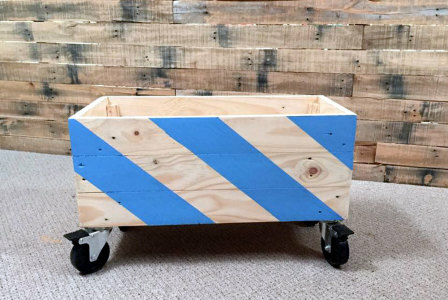 Blue streaked storage crate perfectly made for display in your home. Made from reclaimed timber that has been fully sanded back for a smooth, clean finish. 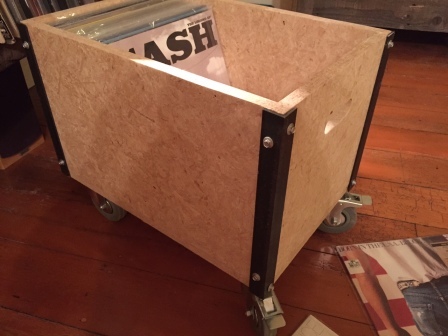 Features large 100 mm industrial inspired caster wheels, two of which lock. Great for the kid's room, bedroom, living room or office. Dimensions: Height 410mm. Width 700mm. Length 350mm.